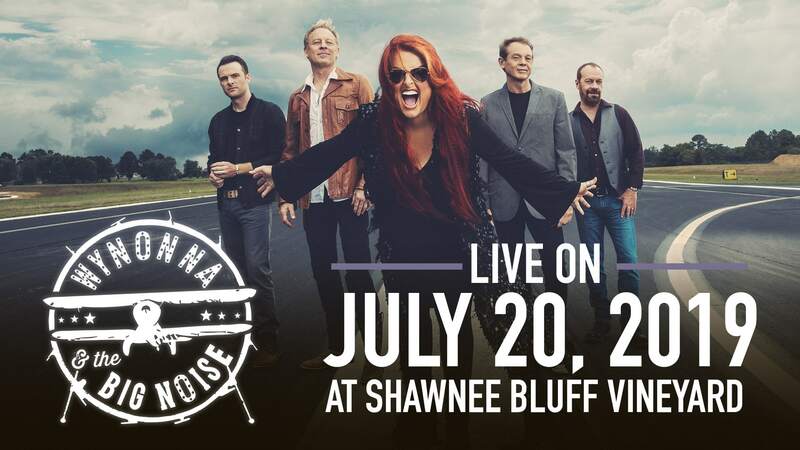 WYNONNA & The Big Noise Return to Shawnee Bluff Vineyard on July 20th, 2019! Tickets on Sale 1/19/19 at 8am! All Ages Show. Kids 5 and Under are Free, but will need to purchase a ticket if a seat is required. Wynonna & The Big Noise take the Stage at 8pm. Followed by an EPIC Fireworks display by Brilliant Skies! Parking is $5 and 50% of the proceeds goes to L.A.M.B. Charity. New ATM now available on site. Outdoor Venue Sunscreen and Bug Spray Suggested. No outside food or drink permited on the premises.